This Kolkata Web Hosting.com, Inc Service Level Agreement ("SLA") applies to all shared and dedicated clients. The Client agrees that measurements via our third party establish the eligibility for any applicable Performance Credit. In the event that the Client determines that a discrepancy in such measurement exists, Client shall promptly notify Kolkata Web Hosting.com, Inc and Kolkata Web Hosting.com, Inc and Client will mutually agree upon the validity and accuracy of the measurement, and upon Client's eligibility for any applicable Performance Credits. This SLA may be amended at any time by Kolkata Web Hosting.com, Inc. Scheduled Service Downtime is any Kolkata Web Hosting.com, Inc interruption of Hosting Services. Scheduled Service Downtime occurs during a Kolkata Web Hosting.com, Inc server maintenance window, which occurs in conjunction with a 24 hour notice to the Client via electronic communication. Performance Credit occurs when 99.9% uptime is not met. 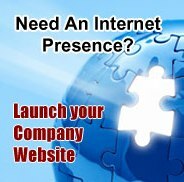 Kolkata Web Hosting.com, Inc will refund the customer 5% of the monthly fee for each 30 minutes of downtime (up to 100% of the customer's monthly fee). Network downtime is measured from the time a trouble ticket is opened by a customer to the time the server is once again able to transmit and receive data. Monitoring Service is the service Kolkata Web Hosting.com, Inc provides in order to analyze availability of HTTP based services and applications through its third party monitoring system.